Rapid Mobile Application Development (RMAD) is a term introduced by the analyst firm Gartner to describe user-friendly solutions that allow business professionals to build and deliver cross-platform mobile apps quickly and easily, increasing efficiency and time-to-market. 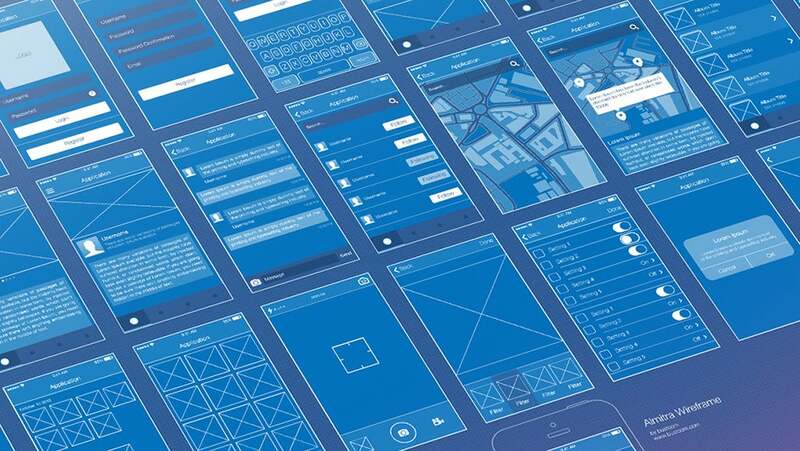 The mobile application industry has witnessed its highest growth rate over the last five years and it is no surprise that there is a growing demand for quicker and more efficient solutions for mobile app development. However, the industry also has a high failure rate throughout the entire process of conception, creation, deployment, and management of mobile applications. Companies are increasingly spending time and resources to develop their own apps to capitalize on the growth in the mobile app space. The potential for appealing to customers through apps and for use within enterprises is increasingly being recognized by companies. When this is combined with the growing bring your own device (BYOD) movement, businesses can transform themselves into highly efficient units, with corresponding increase in productivity. However, the extended time and significant resources usually taken to build an app prevent many companies from building mobile apps. Even after spending time and resources, there is no guarantee that a company’s app will be adopted by more users. In addition, new technologies are being introduced at mind-boggling speeds, forcing businesses to innovate to remain relevant. Therefore, the time to capitalize on these innovative opportunities is smaller than ever.Within businesses,the number of enterprise app users is limited by the number of employees in the company, and therefore, creating and deploying native platform, feature-rich, extensive mobile apps doesn’t increase the number of users. Therefore, many companies are unwilling to partner with a developer and a mobile application development platform (MADP) to develop rich apps in a native environment. Today’s enterprise environment is fundamentally being transformed by the convergence of cloud, mobile, social, and big data, and the economy’s “always-on” characteristic requires a high degree of connectivity across people, processes, data and devices.Technological advances in these areas are becoming increasingly more rapid. Therefore, it is imperative that businesses are able to develop, prototype, and deploy mobile apps much faster than before. Under this backdrop, RMAD has come to the forefront, with many vendors providing their platforms for companies to use.With RMAD providing ‘low-code’ or ‘no-code’ offerings,virtually anyone (developer or not) can conceptualize, create, deploy, and manage mobile apps optimized for virtually every device, including tablets, smartphones, and desktops. RMAD enables business owners or decision makers to get things done quickly by simplifying the process of creating an app, and it is easy to see why RMAD holds tangible benefits for many companies. To begin with, RMAD has made it possible to churn out functional apps much quicker, allowing companies to respond to new market developments as they occur, rather than in a few months down the line. Since about 80% of IT budgets are spent on maintaining existing systems, there is little room for innovative projects aimed at capitalizing on new opportunities. However, companies need to identify and support projects that will drive future growth. When a company purchases an RMAD platform, such as Snapiior Sitrion One, the cost of creating additional apps reduces significantly. Companies can churn out additional apps at a fraction of what it would have cost before, and therefore, companies can look at innovative solutions without having to spend huge resources. RMAD also provide seasoned developers a quick means for rapid prototyping. Relying solely on code can substantially increase the time required to build an app. Although there will always be a need for code, many IT teams are realizing that it’s not flexible enough and not suited for quickly delivering innovative apps. Forrester Vice President and Principal Analyst John Rymer notes: “If we rely solely on coding, we’re going to fail. It’s too slow. It’s too inflexible.” A recent study by Standish Group showed that a whopping 94% of large IT projects either fail, over-shoot the budget and schedule, or deliver below expectations due to various factors. With RMAD, IT departments can meet their project deadlines, while improving their overall quality; further, IT can also focus on projects most likely to help the enterprise grow, and company executives can better communicate with IT, empowering more IT projects to be successful.Using RMAD, companies can use low-code or no-code platforms to prototype apps, and if the idea is good, the app can be created through mobile developers. RMAD lowers the entry barrier for novice developers seeking to enter the mobile app space. Novice developers with innovative ideas can use RMAD to construct functional apps without having to get into the details of the code. However, companies looking at adopting RMAD should be mindful of a potential problem. A company with only a few apps can easily manage them, but managing numerous apps created for different needs can be quite challenging. As more apps are created, they can start to pile up and a company’s entire app ecosystem can become quite unmanageable. Businesses that adopt RMAD should also decide on how they will manage their apps. One solution is to use enterprise mobile application development platforms to keep track of apps, and manage who should use them and when. Therefore, every organization or software development companies considering adopting RMAD should perform due diligence to determine if RMAD is right for their needs. If many apps are going to be created rapidly, management of those apps becomes a key issue that cannot be ignored, since at the very least, the apps will need to be updated. Therefore, companies looking to use RMAD for mobile app development should investigate different RMAD options, using rigorous selection criteria. Mohit is a software engineer as well as freelancer content writer. With his writing he tries to troubleshoot various cyber security issues. For more information visit his McAfee promo code blog. You can follow him on twitter.